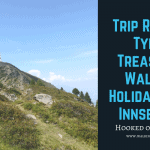 Come along and experience the high trails across the Tyrolean Alps as you transverse from north to south across the Alto Adige mountain range. Enjoy the stunning alpine scenery as you hike into the famous valleys like Stubaital, the side valleys of the Wipptal and the Pflerschtal valley. Walking across alpine pastures with wonderful views you shall come across lovely mountain cabins where you can find food and drink. Amaze at the high glaziers and you sample traditional food and drinks. You shall stay in some former mining villages which are now lovely stops for walkers and the home of farmers with their herd of cows. Many of the trails were once a time followed by smugglers or those on a pilgrimage across the Alps. This is a wonderful route, especially for the trained hiker. Day 2 Innsbruck – Mutters – (Nederjoch) – Pfarrachalm – Fulpmes 9.4 miles 15 km, 350/1020m up/down, 6 hours walking time. This morning you start your hiking adventure, first, you leave Innsbruck on the tram to the Innsbruck village of Mutters at around 830m. Here you shall take the cable car up to the alpine pastures at Muttererlam. Now you start your hike along the trail named Innsbrucker Almentour. It is a pretty easy trail with little up elevation but you shall have wonderful views of the Alps. There is an option to hike to one of the summits should you wish, before a long descent into the valley. If the weather is not so good there is an optional hike along the valley. You shall send the night in the winter sports resort of Fulpmes. Day 3 Fulpmes – Maria Waldrast – Blaserhütte – Trins (Steinach) 9.4-11.3 miles 15 – 18 km, 930/650m up/down 6-8 hours walking time. You start this morning hiking uphill along a good long distance trail, eventually, you reach the restaurant Sonnstein where you shall see magnificent views down to the valley. After some refreshments, continue on a pilgrimage trail all the way to the highest monastery in Europe, Maria Waldrast which was built in 1622 after some farmers saw images of the Virgin Mary! The Monastery has a nice restaurant. Now on a mountain pass, you shall climb over to a neighbouring valley. At the summit is a cabin with wonderful views of alpine meadows full of flowers. There is an optional tour around this mountain which is a little shorter. Day 4 Rest day Trins (Steinach). This village is located at an altitude of 1.233 metres and is a quiet place for a rest. Trins is at the beginning of the Gschnitztal valley and at 1200m above sea level. Should you wish to go hiking there is an abundance of hiking trails around the village and also some interesting houses and monuments within the village itself. Day 5 Trins – Obernberg (Vinaders/Gries) 6.9 miles 11 km, 970/806 up/down, 6 hours walking time. Today you start your hiking tour again following the “Romediusweg”, a pilgrimage trail which takes you to the next valley. The trail will lead you into a high valley ascending via a mountain pass. The views will be stunning, lovely landscapes with mountain pastures, high peaks with glaciers and little mountain lakes. A mountain road or a steep zigzag trail will lead you downwards to Overnberg, which is a very small mountain village where you shall spend the night. Day 6 Obernberg – Sandjöchl – Gossensaß 8.1-10.2 miles 13-16 km, 844/1135m up/down, 6-7 hours walking time. Today you can either walk or take the local bus into the valley where you start your walking tour to Lake Obernberg. After the pretty lake, the ascent to the Sandjöchl mountain pass begins, again expect to see lovely views with many peaks all around you. On the mountain pass, you will reach the border to Italy where you join an old military road. You now descend steeply to Gossensaß but you shall now see views into the Dolomites. Day 7 Gossensaß – Ladurns – Rosskopf – Sterzing 8.1-10.6 miles 13-17 km, 700/1220m up/down, 6 hours walking time. With the local bus, you will reach Innerpflersch where your walk starts today. Step by step you ascend passing cabins with views to the valley. When you reach Ladurns (cable car station), you will follow the high trail slightly up and down passing by mountain pastures with more cabins. Why not take a rest and enjoy the view to the Alps and Dolomites. The tour ends at the cable car station Rosskopf where you will glide downwards to Sterzing. Sterzing is the first city after the Alps with a long history and a very nice city centre. You will feel the combination of the Alps with the Mediterranean flair. Departure after breakfast, north to Innsbruck or Munich and South to Verona, Venice or Milan by train. High Trails and a level of experience required on this level 3 tour. Daily walking up to 7 hours and up to 1000m of ascent on some days. Some trails are narrow and some ascents are steep. By plane to Munich airport followed by a train to Innsbruck. Also possible to fly direct to Innsbruck airport. On departure by train, north to Innsbruck or Munich, south to Verona, Venice or Milan.